As MTN Uganda celebrates 20 years since it launched in Uganda, it should be noted that there is that one person who made the first call to declare lines open- that is none other than President Yoweri Museveni. Museveni on October 23, 1998, officially launched Mobile Telecommunications Network Uganda Ltd with a call to President Nelson Mandela of South Africa. Off he dialed and his phone call was picked by someone in Cape Town- Wrong number. 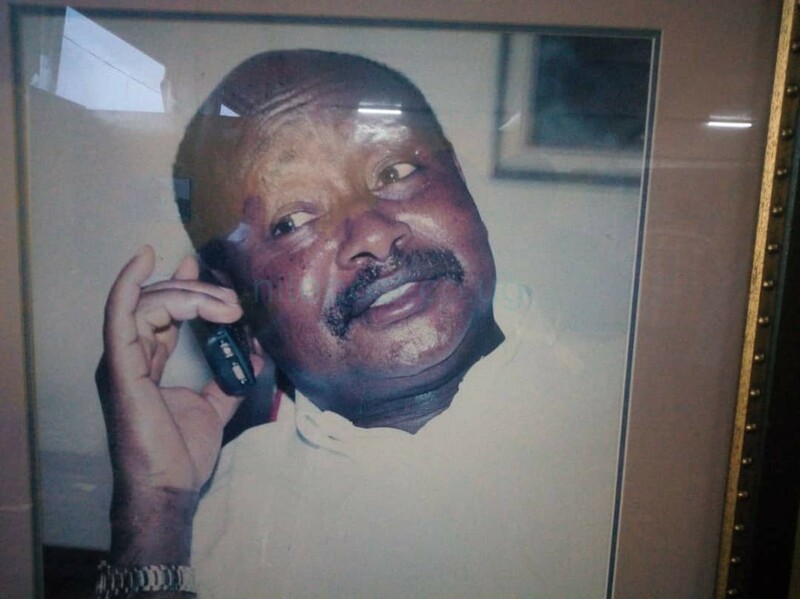 Museveni on second attempt was helped by his secretary and he connected direct to Mandela. The person who handed the phone to Museveni is none other than the current President of South Africa, Cyril Ramaphosa, then a businessman. Ramaphosa was in the company of Ugandan businessman Charles Mbire who later would be the MTN Uganda Chairman. Mbire was the Katera rume (go between) of Ramaphosa’s family and that of former prime minister Amama Mbabazi during the kuhingira of their children, Andile and Bridget. During the Kuhingira, Museveni indeed confirmed that Ramaphosa brought the phone world to him and he indeed talked to Mandela on that thing the size of a matchbox. “I later found out that Ramaphosa is a good businessman. He was part of the team that brought the first mobile phones to Uganda. Someone came to me with a small gadget, the size of a matchbox, saying I could use it to talk to Nelson Mandela and it worked. Ramaphosa was part of that team,” Museveni said. It was all cashless and pomp as MTN launched their twenty -year anniversary celebrations at the Kololo Independence Grounds on Friday 19th October, 2018. The ceremony officially kicked off at 3pm amid drizzles with a number of partners like Huawei, Stanbic Bank, among others show casing their latest technologies and products. Revellers paid Shs5,000 at the entrance which was then refunded in drinks using a MOMO Pay wrist band to ensure cashless transactions all through the night. Speaking at launch, the MTN Uganda Chief Executive Officer Wim Vanhelleputte revealed that they are dreaming of a digital cashless economy and he believes that MTN Uganda can make this a reality. He also noted that the first call on MTN Uganda was made by His Excellence Yoweri Kaguta Museveni to the late Nelson Mandela in 1998 and said that they are committed to bring reliable connectivity and make mobile payments a reality. Since the official launch in Uganda on October 21st 1998, MTN has been undisputed market leader, top innovator and a company of firsts. MTN came to Uganda as a game changer, the same phone Museveni used was the smallest that had been seen by Ugandans after several years of moving around with brick size cell phones from Celtel, the first operator. 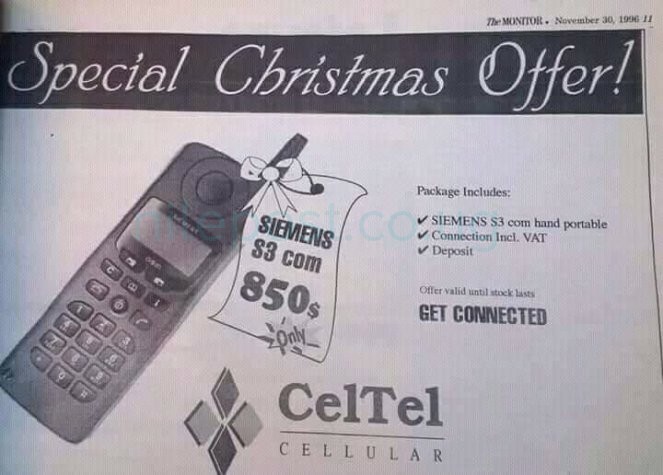 An advert for a phone in the Monitor Newspaper. 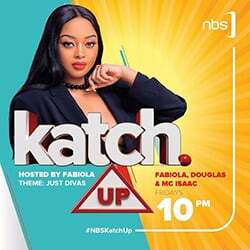 Indeed, for one to own a phone before MTN, you had to apply and wait for between two and three months after which you would get your very expensive big phone only for it to work in Kampala and a few urban centers; Jinja, Entebbe and Mukono. Once you had hold of your phone, you had to keep paying for service fees on a monthly basis and any form of issue had to be solved by you physically going to their offices. MTN launched and mobile phones became affordable for all, customer service experience changed, you would simply dial numbers, new districts were covered and you would call or receive from everywhere you go. Soon it would be easier to send money as well through MTN Mobile Money and even better with Mo Kash which allows customers to save and access credit services using their mobile phones.